Piggy lunch cooler bag. 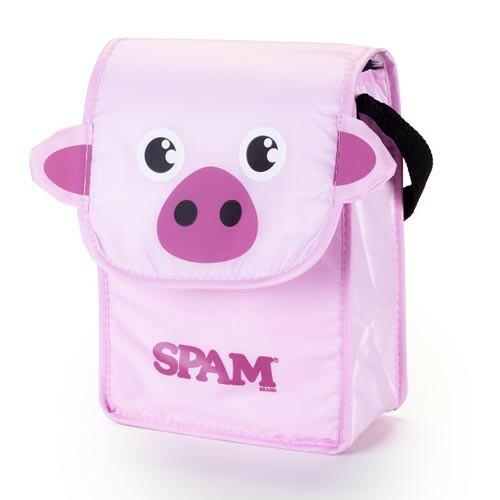 Pink with pig face and SPAM® Brand imprint on front. Adjustable carry strap.